Spacious all brick ranch located within walking distance to Sardis Elementary and zoned to highly rated Porter Ridge High School in Union County!Home features spacious 3 bed/2 full bath, side load 2.5 car garage, plenty of outdoor living areas, porch and walk out patio! Fresh paint, new stainless appliances, updated kitchen, new carpet, updated bathroom, dining room and cozy great room. Large mudroom with plumbing can easily add a 3rd full bathroom. Storage attic with staircase and outdoor storage shed. 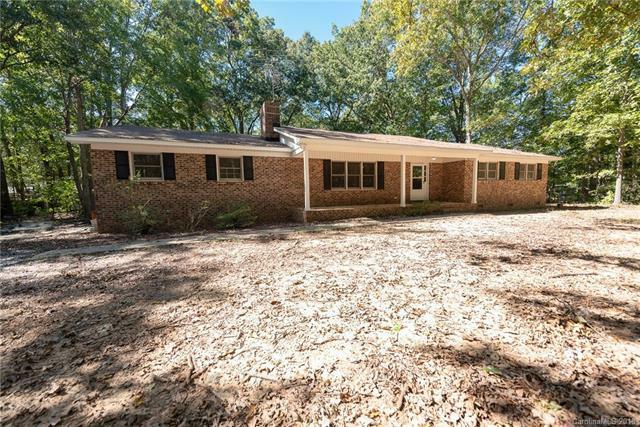 Sitting on hard to find, over half an acre lot with plenty of wooded areas for outdoor entertaining, enjoying nature, and privacy. Enjoy the opportunity to own lots of land and your own home right in Union county without an HOA - that's right NO HOA!Just minutes from Lake Park, Sun Valley, Charlotte, and shopping destinations off Unionville Indian Trail Rd. Rare price point to own a spacious brick ranch home in Union County with 2.5 side load garage- priced to sell quickly. Offered by Bipin Parekh Realty, Llc. Copyright 2019 Carolina Multiple Listing Services. All rights reserved.